If you are a big fan of the Harry Potter series, then you are also likely a fan of the prequel series The Fantastic Beasts, which takes place many decades before the events of Harry Potter. A lot of the characters introduced in the series are new, except for Albus Dumbledore, though he is still young here. The main character for this series, though, is Newt Scamander, who is a Magizoologist and an author of Fantastic Beasts and Where to Find Them, which is also the title of the first movie. He is basically a wizard that specializes in studying magical creatures. 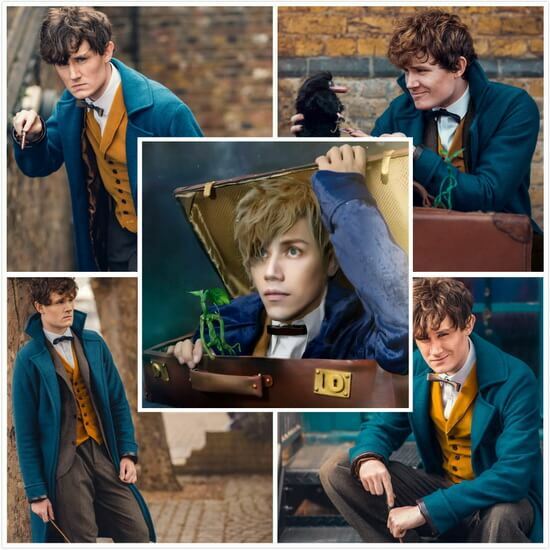 Newt Scamander cosplay is a good choice if you’re looking for a new character in the Harry Potter world to dress up in. 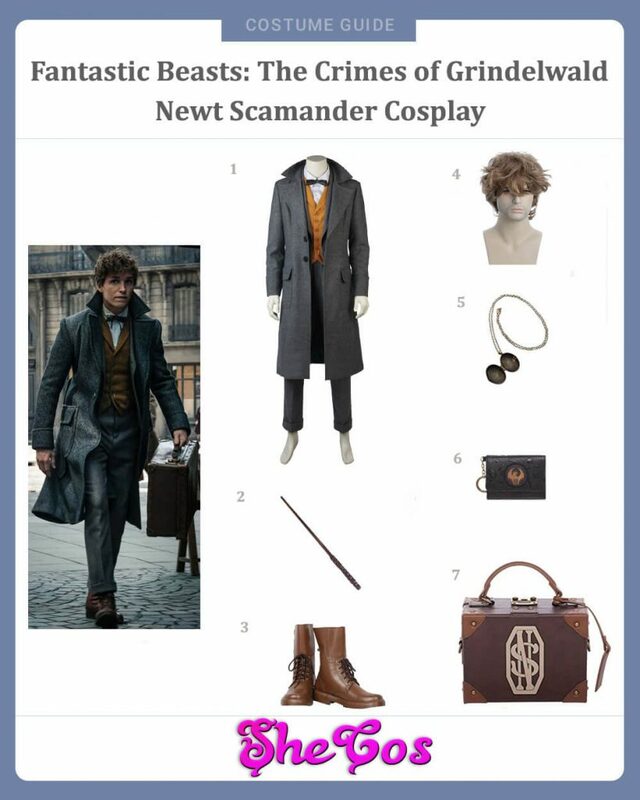 Cosplaying Newt is simple since he doesn’t really wear a lot of different outfits throughout the movie. He also doesn’t really wear anything unusual as his outfits consist of pants, boots, long sleeves polo, vest, and a trench coat. But unlike the other famous characters in this wizarding world, cosplaying Newt requires several accessories, particularly the suitcase that contains his magical creatures. This luggage is an important accessory for him, almost as important as his wand. When The Fantastic Beasts: The Crimes of Grindelwald premiered, a lot of the critics had mixed reviews about it. 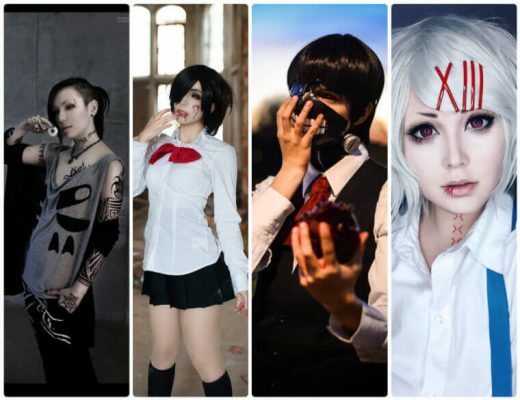 But one of the consistent things being praised are the outfits that the characters wore. Newt Scamander, of course, is not an exception here. 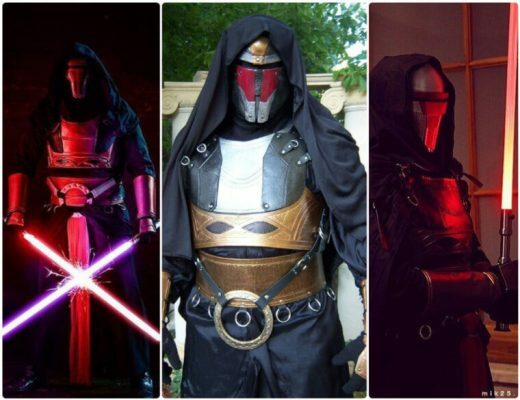 This makes this character even more of a good choice to cosplay in. Newt’s full outfit would be gray slacks a white polo, orange vest, black bow, and a grey trench coat. As for the accessories, a short messy grey hair will be included in this set, as well as a Tina locket necklace, a handcrafted solid wood magic wand, and his dark brown suitcase with straps. It’s also a great idea to put your money and IDs in the mini trifold wallet. The Fantastic Beasts: The Crimes of Grindelwald has been dubbed as a darker movie than its prequel Fantastic Beasts, which likely explains why Newt’s outfit in this movie is a bit serious and duller, in terms of color, in comparison to his outfit in the first movie. Now, this doesn’t mean that his outfit here is actually dull, it just means that the character will be in for a more serious and darker adventure. The dominantly grey color of Newt’s outfit fits perfectly well in the narrative of the movie. 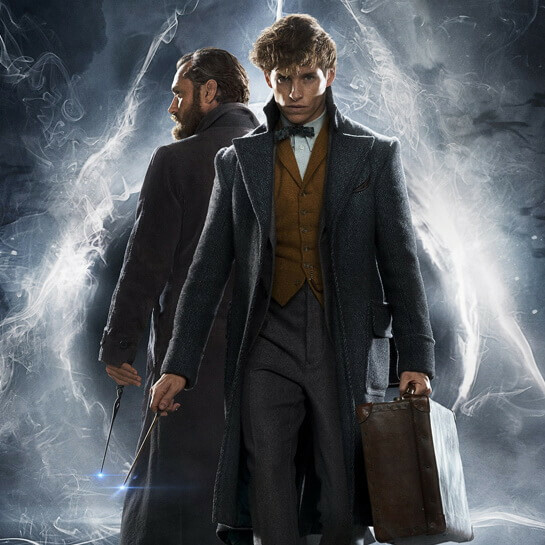 If you look at the movie posters, you can see how well the outfit fits perfectly on Newt, who is sporting a serious face. So if you prefer to cosplay a more serious and darker wizard that is not actually a bad guy in the story, then you can check out Newt Scamander in the Fantastic Beasts: The Crimes of Grindelwald. The Fantastic Beasts and Where to Find Them movie have expanded people’s view of the Harry Potter world. 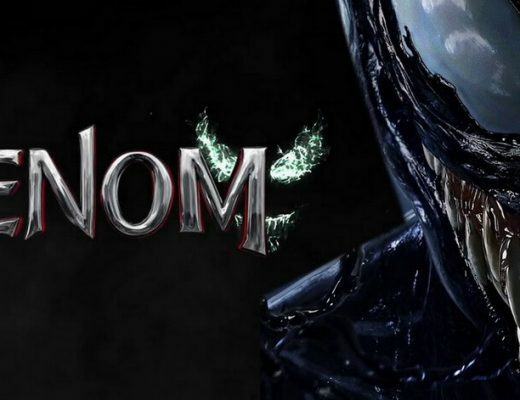 It introduced new characters, as well as a story that took place in the 1920s. One of the characters introduced there is Newt Scamander, the protagonist of this series. Being Newt is a popular choice for a lot of people to cosplay a character in the Harry Potter world. 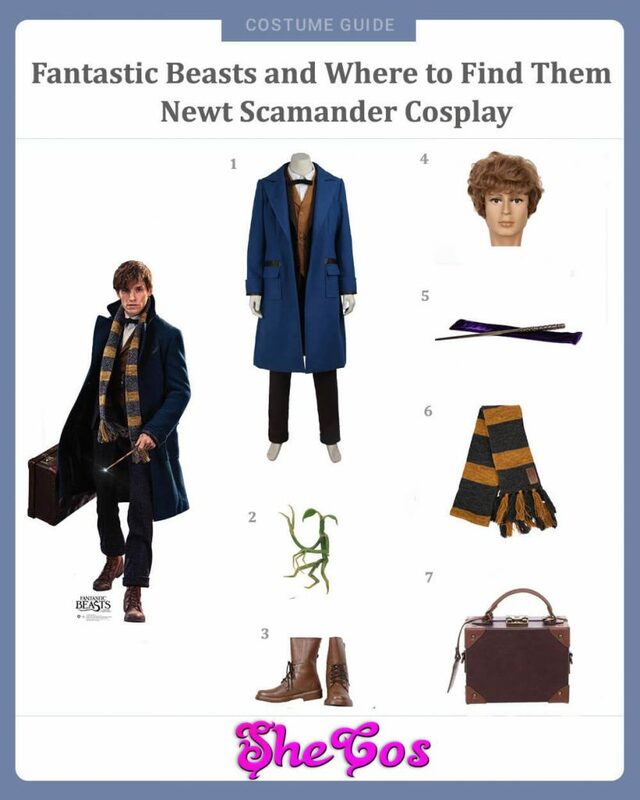 To dress up as Newt you will need this cosplay set, which includes black slacks, white polo, orange vest, a black bow, a blue trench coat, and brown boots for the full costume. For the accessories, the cosplay set will include the trunk suitcase that Newt carries around, a wand, Hufflepuff scarf, and Picket Bowtruckle pendant. A lot of Harry Potter fans were excited when the movie the Fantastic Beasts and Where to Find Them came out because it helped relieve the mystic of the Harry Potter series, while also introducing new elements in the overall story. One of the new elements introduced is new characters, like the Magizoologist Newt Scamander, that people can cosplay in. Now just because Newt’s outfit is simple and doesn’t really have anything unique to offer, doesn’t mean that there’s nothing magical about it. If you look at the cosplay photos, you can actually play around with this costume. The magical suitcase that Newt carries around is actually a good accessory, considering you can put all of your other accessories there, like the magical creatures that Newt keeps with him. You can also try recreating some of the iconic scenes in the movie, like Newt coming out of the suitcase. It may be simple, but the complete costume actually has a lot of magic on it. Don’t forget to the magical creature Bowtruckle inside Newt’s suitcase.